Did you know that teeth whitening is one of the most popular cosmetic dental treatments available today? 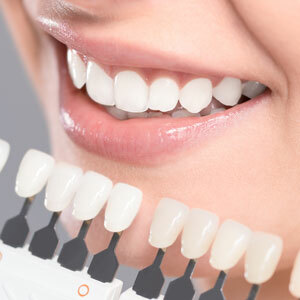 At Willsmere Dental, we’re able to offer our patients effective and careful teeth whitening from the comfort of our relaxing practice with the Pola whitening system. We’re proud to offer in-practice Pola whitening services, which can brighten your teeth several shades before you even leave the chair. This quick treatment takes about an hour during which time we’ll apply a whitening gel to your teeth and then activate it with a blue light. To make sure your teeth continue to gleam over the coming months, we also offer take-home kits which we’ll let you know how to apply for best results. These kits include a custom fitted tray specific to your teeth as well as whitening gel. In-practice Pola whitening often provides much better, safer results than using over-the-counter products. Contact our practice today to learn more about your options for a whiter, brighter smile. We’re happy to answer any questions that you might have.